We can’t stop ageing. But we can keep ourselves good even in mature age by having a balanced lifestyle. Food and dietary supplements play a major role on hair and skin health which are mainly affect anyone’s appearance. If you have healthy and good looking skin and hair, then you sure look young and pretty. But, with the age, you need to take more vitamins and minerals in order to keep your skin and hair in good condition. That is where dietary supplements are important in order to make sure to get all daily requirements of vitamins and minerals. However, sometimes having vitamins and minerals as tablets and capsules make us sick just by looking at those. How about having delicious drink which is full of necessary nutrients? This sounds more interesting and practical. You will never feel that you are taking any supplement when you drink a delicious drink. It is same with chewy gummies. That is really interesting to have some gummies which are dietary supplements. 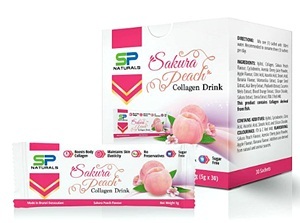 Check this collection of delicious collagen drink and chewable dietary supplements if you like to have daily nutrients intake in fun way. With such delicious drinks and chewable gummies, you will have interest in having your daily supplements. I am sure you will never forget to take your daily supplements. On the other way, having healthy drinks is really a good way to keep you hydrated. Do you think it is essential to take dietary supplements daily when you are in mature age? Previous Article← Vitamin C – Is it Helpful for Skin Care and Anti-Aging?